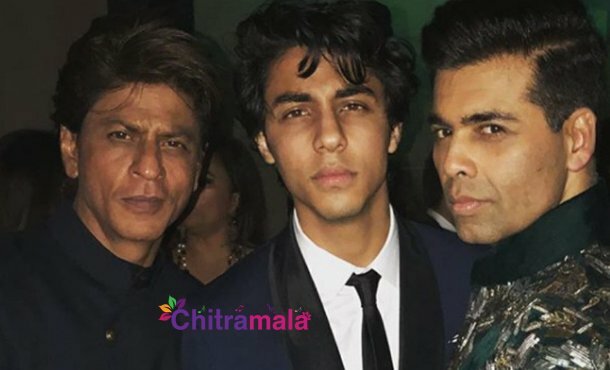 Okay, it is now time for Bollywood Baadhah Shahrukh Khan’s son Aryan Khan to enter into the films. There were many rumors about Aryan’s film debut from a long time, but nothing has been confirmed yet. The latest buzz reveals that he is going to enter industry this year but as an assistant director. Many star kids opt to assist a film before making debut as heroes. Actors like Ranbir Kapoor, Varun Dhawan, and Arjun Kapoor followed the same route. Now, Aryan will join that list. He will be assisting director Karan Johar for the upcoming film Takht. The movie will go on floors very soon. Takht features many stalwarts like Ranveer Singh, Alia Bhatt, Vicky Kaushal, Bhumi Padnekar and Janhvi Kapoor. Working with such big actors will be a learning experience for Aryan. But only time will tell us whether he will be able to make it big as his father.